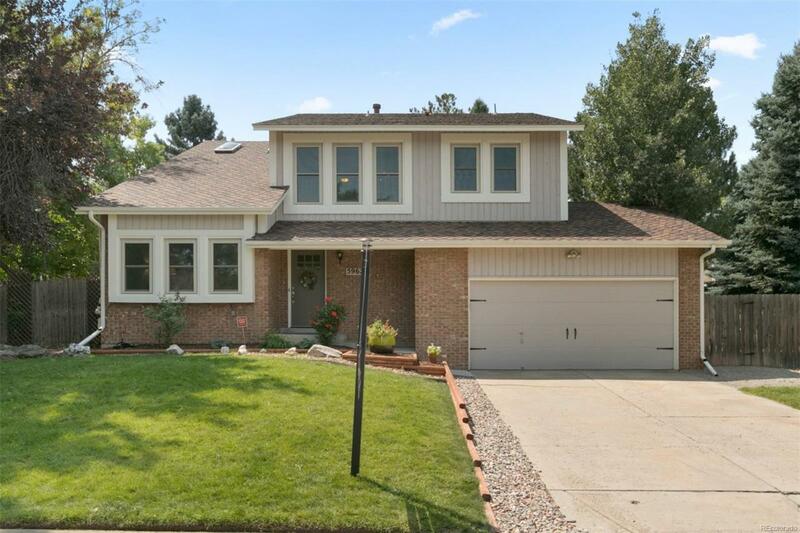 Beautifully updated home with high-end, custom finishes to showcase a beautifully remodeled kitchen with round-edged granite countertops, unique glass-tiled backsplash, and stainless steel appliances including a gas cook-top. Updated bathrooms throughout. The main level has a wonderful open concept floor plan featuring all hardwood floors with a vaulted front living room, formal dining room, and a cozy great room with coffee and/or wine bar. The second story features a spacious loft that serves as a perfect flex space, three bedrooms and two bathrooms, including the master that offers an en-suite bathroom with an oversized shower and walk-in closet. Finished basement lives like a fabulous guest suite with additional living room. Other features include newer triple-paned windows, R60 blown-in fiberglass insulation, and professionally landscaped backyard. Enjoy the great backyard with covered patioperfect for entertaining or just relaxing.